Improved thermal insulation means lesser heating costs – but this should not be at the cost of sensational architecture. A new type of brick filled with aerogel could make thin and highly insulating walls possible in the days to come – without any extra insulation layer. The calculation is clear: when a building is properly insulated, less heat is lost in winter and less energy is required to attain a comfortable room temperature. No wonder, then, that the Swiss Federal Office of Energy (SFOE) regularly raises the necessities for building insulation. Traditionally, the insulating layers are added to the finished walls. However, self-insulating bricks are increasingly being employed – saving both work steps and costs and opening up new architectural possibilities. Insulating bricks provide a workable compromise between thermal and mechanical properties and are also suitable for multi-story buildings. They are already commercially available in variety of models: some have numerous air-filled chambers; others have larger cavities filled with insulating materials such as mineral wool, pearlite, or polystyrene. Their thermal conductivity values vary based on the structure and filling material. In order to attain the insulation values of walls with individual insulating layers, the insulating bricks are usually considerably thicker than normal bricks. 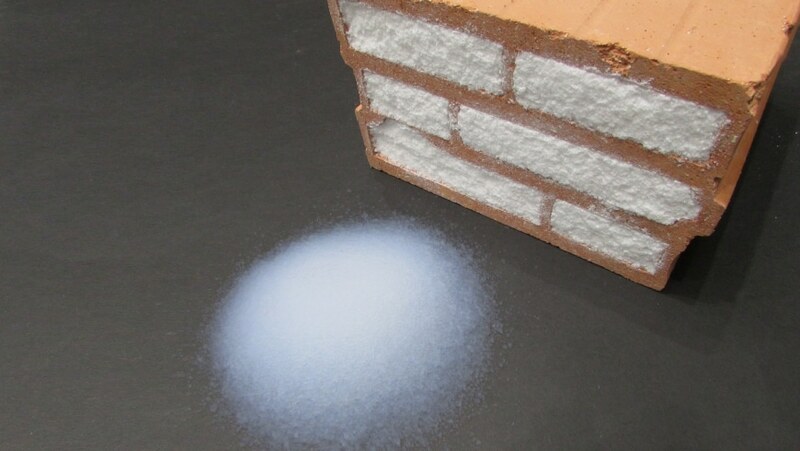 Empa researchers have currently substituted Perlite in insulating bricks with Aerogel: an extremely porous solid with very high thermal insulation properties that can endure temperatures of up to 300 °C. It is not a new material for the researchers, as they have already used it to create a high-performance insulating plaster which, among other things, allows historical buildings to be refurbished energetically without impacting their appearance. Along with his colleagues, Empa researcher Jannis Wernery from the research department “Building Energy Materials and Components” has created a paste-like blend of aerogel particles to be used as filler material for the brick.“The material can easily be filled into the cavities and then joins with the clay of the bricks”, says Wernery. “The aerogel stays in the bricks - you can work with them as usual”. The “Aerobrick” was born. A comparison in a special measuring device for thermal conductivity at an average temperature of 10 °C reveals that the perlite-filled bricks with the same thickness and structure insulate by about a third less than the Aerobrick. In other words, so as to accomplish the required insulation values, a wall of perlite brick must be roughly 35% thicker than an Aerobrick wall. Even more remarkable is the comparison with ordinary brickwork composed of non-insulating bricks: These conduct heat up to eight times better. A conventional wall would thus have to be nearly 2 m deep so as to insulate at the same level as an Aerobricks wall of just 20 cm in depth. With a measured thermal conductivity of just 59 mW/m2 and Kelvin temperature difference, the Aerobrick is presently the world’s best insulating brick. But currently and in the very near future, no one will possibly be able to construct a new house from Aerobricks – the filling material is at present still too expensive. Wernery calculates that at present market price for aerogel, a single square meter of a brick wall would create extra costs of about 500 francs. However, experts assume that the costs for Aerogel will drop tremendously in the near to medium term – then nothing can hinder the usage of the new wonder brick.